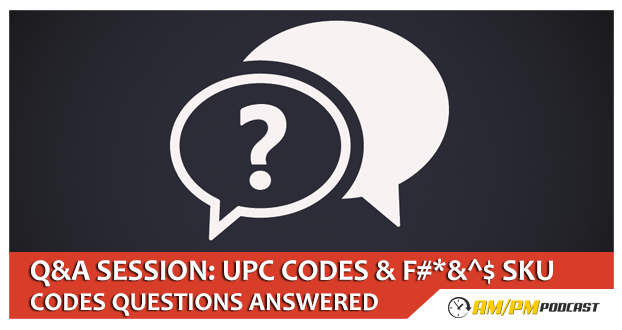 MANNY: The UPC code is a general barcode. It is something you need on your product to identify the product and it allows you to sell it wherever you want. Amazon has their own proprietary code and that’s their FNSKU. When Amazon handles the products they do not want to see the UPC, they want to see the FSNKU, it has to cover the UPS. You do not need to have the UPC – you have to buy the code and register it with Amazon for your listings, and once you do this, you have the code for the suppliers. GUI: UPC codes are if you plan to sell anywhere other than Amazon, then you put them on the packaging. If not, you just need the UPC code to create the listing on Amazon. MANNY: You can apply the FNSKU yourself or ask the supplier to do that, I prefer to ask the supplier then I don’t pay 20 times the amount that Amazon asks. GUI: If you buy products retail products and send it to Amazon, you have to cover the UPC code. If you do private label, you don’t need the UPC code. Q2: My question relates to my FNSKU and my product title. I have recently changed my product title to add in some better keywords. It no longer matches the title that’s printed on the FNSKU. Do I need to throw this away and print out new ones? MANNY: Up until recently I didn’t know the answer too. The answer is no; you do not need to reprint any of the labels. Amazon really only used the barcode on the FNSKU. They only scan the barcode as it has all information they need. You can change your title and it doesn’t make any difference. Q3: I have figured out what I’m going to sell and have found the supplier I will be using. I understand that Amazon needs an FNSKU and not a UPC on the packages so I haven’t bought any UPC but have the to buy the FNSKU. I want to send this to my supplier My supplier also said I should put the FNSKU on my packaging to save money. Would you recommend this? MANNY: I no longer print the FNSKU labels. Everything is printed and put on by the suppliers. It’s not going to peel of or change, it’s printed on the box so there’s also not going to be any confusion about sticking the wrong label on something. It saves money as they print on box itself. I highly recommend printing it on the box. Where to buy it… you don’t buy it. The UPC can be bought. You use the UPC to get the FNSKU to get you product listed on Amazon. You use the UPC to register your FNSKU, to get that. You would go into you inventory, create a shipment, you’d put in the amount of product that’s coming, Amazon will have a downloadable link with all the FNSKU labels that you would then send to them if you have them print them and put it on the package. GUI: I do believe there’s a minimum size for the FNSKU. Just make sure when you send the packaging design, you follow that so that Amazon do not find a tiny barcode. When it comes to the packaging, you can put the FNSKU in a white box at the bottom of the package and still have a dark design.